My friend Mary Lore likes to say, “We are not our brains.” Her thesis is that, while allowing our brains to manage us works in many situations (letting our Knower/Judger persona respond to our environment, carry on our conversations, react to threats, etc. 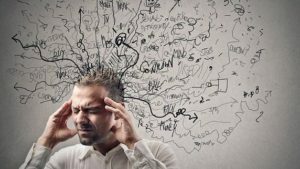 ), we can be far more productive in other situations when we manage our brain. She would have us use the brain as a tool instead of having it use us as its tool. So I began to think about this as it pertains to pain, because we could all use less pain in our lives. Over the years, I’ve developed an understanding of how pain works. 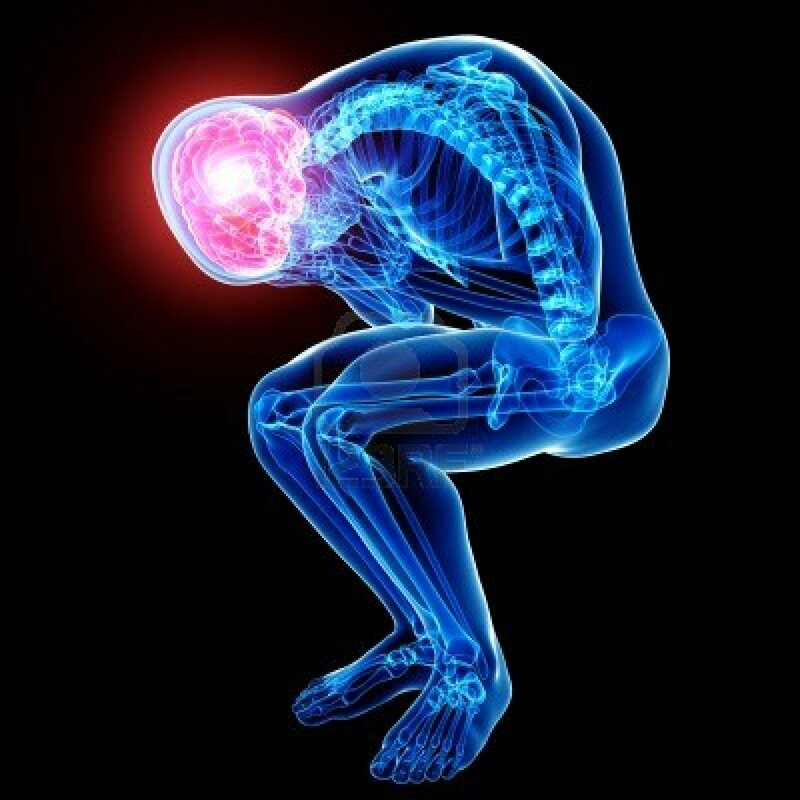 Pain starts as a signal headed through the central nervous system to the brain for analysis. Hit your thumb with a hammer and information goes to your brain. Drop a car battery on your big toe? Same thing…off goes the signal. Where the effect of the pain really exists is in the brain. According to David Linden, a professor of neuroscience at Johns Hopkins University and author of the new book Touch: The Science of Hand, Heart, and Mind—and Mary Lore would agree—we can use our brain to turn up or turn down the volume of that signal. Seriously? My brain controls the level of pain I feel? Apparently so. It seems we’d jump at the chance to live without pain. But what does pain do for us? Well, for one thing, the information it sends to the brain can be lifesaving. It can tell us when something is wrong and to react quickly. A close friend’s teenage daughter suffers from a rare condition known as hereditary sensory autonomic neuropathy. She feels no pain. She was about four months old when her parents discovered she would smile happily after ripping out a tooth or scratching a cornea, and since then she has had to be protected from the simplest things. She’s suffered no end of medical issues her entire life and is a sweet, positive teenage girl who still has to live in a bubble to ensure she makes it another year. When it comes to pain, be careful what you wish for. So how can we live more comfortably and return to normal more quickly after feeling pain? Well, we can medicate. There are many drugs that interrupt that signal from the source of the pain to the brain. Neuropathy patients use opioids to short-circuit the signal…when it wears off, they need to reapply. But let’s approach the pain management exercise using Mary Lore’s concepts. What can the brain do to reduce the effect of pain? Well, it can’t change the signal. That’s going to arrive at the brain ready to be interpreted. Now, if I’ve hit my thumb before and had a terrible agonizing experience, then I have an experience my brain can judge against. I think about it as a Pain Knower/Judger. Thinking of it this way, I can conclude that pain can actually be habitual. I can form a comfort zone around my emotional reaction to that signal, just as I form habitual responses to bad golf swings and finger pointing from the boss. How do I get control of those responses? Using my Learner/Researcher persona. Getting “present.” Using mindfulness meditation to calm the “monkey brain” and erase tapes of past situations. I’ve developed multiple tools to help me refrain from auto-responding so I don’t create negative realities. If one component of pain is an auto-response to a stimulus (like cursing my golf swing and shrinking from my finger-pointing boss), why not use these tools to reduce pain? I recently suffered a gallbladder attack. I ended up in an emergency room and had it removed the next morning. The operation was laparoscopic, but it was still surgery and left me compromised for some time. There were three holes in my abdomen and stitches (or staples, not sure which) deep under my rib cage. Signals were definitely going to my brain. I was prescribed an opiate pain reliever. I used what I knew of mindfulness meditation, tracked my breathing, visualized, etc. I used Ho’oponopono to dispel all the visuals I had about being cut and having my gizzards removed. I just went back to my life. I drove to western Nebraska five days after surgery and competed in an antique car rally. By the time I pulled out of St. Louis, the only effect the surgery was having on me was a newly configured digestive tract, which meant I stopped a little more frequently. I never filled the opiate prescription. Never even took a Tylenol. Recently my brain has been getting some signals from my aging back. It could be termed chronic. I’ve acquired a mindfulness meditation app for my Android (Stop, Breathe & Think) to help me “turn the volume down” and continue to work out, play (at) golf, and run (put six miles in this Sunday morning). I am aware of the signals. I seem to be able to choose to minimize my emotional reaction. You women who have delivered full-term babies understand how well Lamaze works. That’s a mindfulness meditation exercise…breathe! When I consider pain as my K/J reaction to a signal from somewhere in my body, then I can visualize my ability to manage it the same way I manage other auto-responses. Get into my L/R, get present, and choose another response.